A new step to tackle the NPA menace Banks and Financial Institutions (FIs) have signed Inter-Creditor Agreement (ICA) aimed at faster resolution of stressed assets of Rs. 50 crore or more which are under consortium lending. It has been signed by 22 public sector banks, 19 private sector banks and 32 foreign banks and 12 major financial intermediaries like LIC, HUDCO etc. ICA Framework is part of the project 'Sashak'. It will be applicable to all corporate borrowers who have availed loans and financial assistance for amount of Rs. 50 crore or more under consortium lending or multiple banking arrangements. Each resolution plan will be submitted by the lead lender to the Overseeing Committee. The decision making under ICA framework will be by way of approval of majority lenders i.e. lenders with 66% share in aggregate exposure. Once resolution plan is approved by majority lenders, it will be binding on all lenders that are party to ICA. The plan formulated under ICA will be in compliance with RBI norms and all other applicable laws and guidelines. 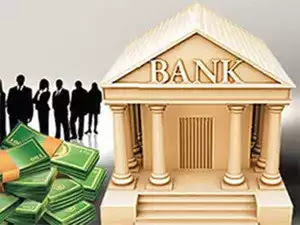 Banks opposing resolution plan will have option to sell their stressed loans to company at a discount or buy out loans to that entity from all other lenders at premium. Why is the ICA framework important? The ICA framework aims for faster facilitation of the stressed assets resolution. It gives a bigger say to lead lender in consortium and allows resolution plan to be approved if 66% of the banks in the group agree to it. It authorises the lead bank to implement resolution plan in 180 days. In case a lender dissents, the lead lender will have the right but not the obligation to arrange for buying out the facilities of the dissenting lenders. It could be bought at a value equal to 85 per cent of the liquidation value or resolution value, whichever is lower. The dissenting lenders could exercise such rights of buyout in respect of the entire facilities held by other relevant lenders. Q1. Which agreement the Banks and Financial Institutions (FIs) have signed with an aim of faster resolution of stressed assets? Q2. What is the minimum amount of assets that the agreement will look to resolve?